Felpham Community College hosted a FAB (Felpham and Bognor) school council day aimed at raising awareness about the environment. 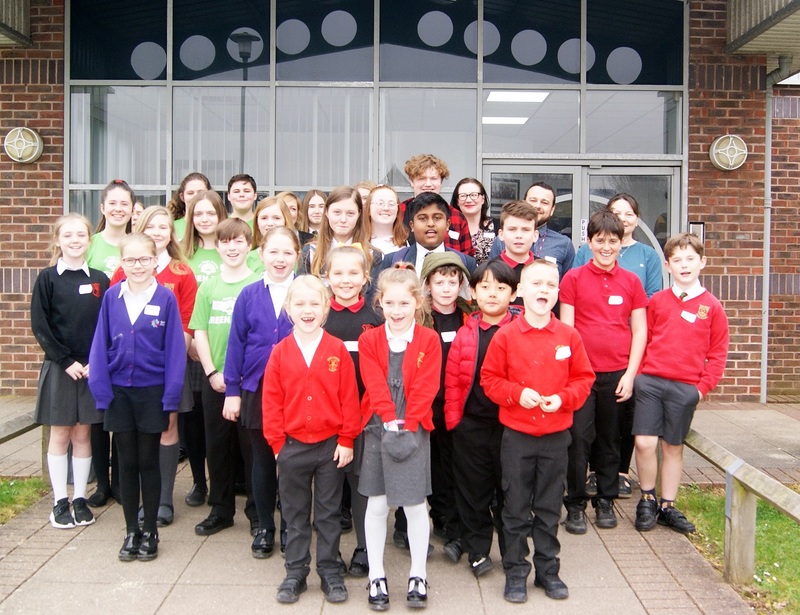 Run by the Student Council from the Felpham school and The Regis, all primary schools in the area were invited to send students to represent their school, with 68 children attending in total from across the area. Students from year 1 right through to year 13 joined together to take part in the day which focused on environment awareness, recycling, climate change and what everyone can do to improve our future world. Students took part in a number of activities including upcycling school benches by decorating them with mosaic recycled crockery, making model windmills to learn about reusable energy and taking part in challenges and games focused on what we are grateful for and what we can improve in our modern day world to be more environmentally aware. Students were also given a talk from Southern Water regarding water pollution and were given goody bags to take home. Deputy headteacher at Felpham Michelle Kelly said: “It was a brilliant day and great to see students across year groups and across schools all working together. “We were really impressed with everyone’s enthusiasm and the ideas they came up with. Our students did really well organising the programme and activities and they showcased some great leadership skills. Year 12 students Charlotte Cogger and Isabelle Saunders added: “We helped organise the day and it was a really good event.